The world of health care is changing fast. New regulations and conditions are redefining the rules of leading a successful hospital, and in many ways, making it more challenging. 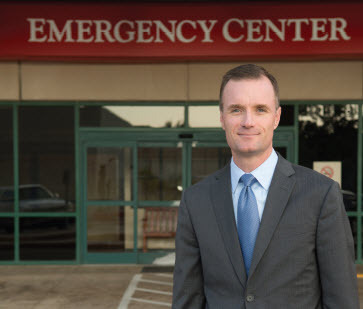 As CEO of a very busy Academic Medical Center hospital in the Texas Medical Center, I’m very aware of what is working – and what is not – when it comes to navigating these new times. And while the equations to operational success are becoming increasingly complicated, one variable must remain constant: providing high quality, safe patient care to every patient we serve. In the case of the Hospital Readmissions Reduction Program, a section of the Affordable Care Act which requires the Centers for Medicare and Medicaid Services (CMS) to reduce payments to Inpatient Prospective Payment System (IPPS) hospitals with excess readmissions, this mandate must not be forgotten. The payment reduction program, effective for discharges beginning October 1, 2012, is part of the wide-ranging push by CMS to begin paying health care providers based on the quality of care they provide – specifically for the three diagnoses notorious for readmissions: acute myocardial infarction (AMI), heart failure (CHF), and pneumonia (PN). Long before CMS implemented this new policy, the Memorial Hermann Health System began applying various measures to reduce readmissions – because it was the right thing to do. And while our improved processes certainly reduced some of our costs, the most important aspect for us was helping our patients care for themselves after they left our hospital. Our readmission improvement efforts began years ago when we noticed that segments of our patient population were frequently being readmitted to the Emergency department, and we wanted to determine why this was occurring so we could develop solutions to address the issue. What we found was that the mindset in our hospital had been to treat and “rescue” – we weren’t great at thinking more broadly about the overall health and wellbeing of the patient. After discharge from our facility, many patients weren’t gaining access to the right resources in the community, or they weren’t compliant with their discharge instructions. As a result, these patients were being readmitted cyclically for the same conditions. So we set out to learn more. Why did this gap exist between inpatient care and health management post-discharge? The answers were actually quite simple. First, we found patients were often not following their discharge instructions because they didn’t fully understand them. The printouts were lengthy and cumbersome, and even if a nurse or physician went over them before discharge, many patients simply didn’t pay attention – they were anxious to get home. The second major factor impeding care was access. No matter how well patients understood their discharge instructions, some were unable to get the medications they needed after leaving our care, or did not have access to community providers for necessary follow-up care. We realized in order to prevent avoidable recurrent admissions we needed to ensure access to resources for all patient populations, streamline our discharge instructions process, and establish a plan for continuum of care post-discharge. We pulled together a team of our employees and asked them to help us find a better way. As a result, we revamped our program, extended our case management resources, and developed a culture where post-discharge planning became an integrated component of care. The key strategy of the program included a multidisciplinary focus led by case management and social work in daily patient rounds with physicians, nursing, pharmacy, dieticians and therapy services. The team implemented a risk screening process and looked for key indicators, pinpointing those patients with high risk for readmission. They also worked to schedule follow-up appointments before the patient left our doors. We found that the simple act of writing an appointment on a piece of paper, with a set date and time, has made a tremendous impact on our overall readmissions. We also increased physician-to-physician communication between our hospital and our patients’ permanent medical homes, and we developed relationships with local community clinics for those patients who are under- or uninsured. Finally, we also worked to streamline and simplify our discharge instructions to make it easier to understand for our patients and families. To help access to prescriptions for our patients, we formed an agreement with Walgreens to deliver crucial medications to our patients at the bedside prior to discharge. Now, rather than heading to the pharmacy as soon as they leave our hospital, our patients can just go home – with medications in hand. Our pharmacy department has also become more involved in medication education, and we’ve put in place a program in which a case manager calls the patient within the first 48 hours of discharge to ensure he or she is complying with all medication and discharge instructions. This is all of the work we implemented within the walls of the hospital – but that wasn’t enough. We also developed an at-home program which provides Medicare-certified care for patients in their own homes and is staffed by experienced, licensed clinicians who are trained to provide in-home nursing care, infusion therapy, pharmaceutical services, wound dressing and rehabilitation services. Through this program, we’re able to better assist patients and families by relieving them of medical management and clinical caregiving so that they can spend more quality time together. Offering these home services has proven to be tremendously successful for helping our patients improve their quality of life while promoting their safety, health and independence. We didn’t stop there. Looking forward to the future, we implemented a program called Virtual Care Check – a remote, cloud-based patient monitoring system that allows patients with chronic medical conditions the ability to send frequent updates to their health care providers. Patients are provided with small, user-friendly tablet computers, weight scales, pulse oximeters, and blood pressure devices. Depending on the plan customized by their physician, patients log on and answer a daily health survey, keeping track of their vital signs. On the other end, our health care providers monitor the patient’s progress remotely, make recommendations and communicate with the patient and other members of their health care team. This remote health technology will never replace routine medical appointments, but in terms of managing chronic diseases, improving care transitions and reducing readmissions, virtual care is revolutionary in its ability to allow physicians to deliver efficient, cost effective, and more personalized care. In addition to giving patients the peace of mind knowing their health care providers have up-to-date information every day in order to appropriately adjust their medical care, these devices are helping our patients take better care of their health. By monitoring their own health, they are playing a more active role in their wellbeing. We’ve seen this technology improve self-health management skills, medication compliance and home safety by educating and motivating patients on a daily basis. This kind of increased independence is helping to keep our patients healthy. When the federal government began enacting payment penalties a few years ago, we planned ahead and got off to a great start. We don’t have it all figured out, but we are proud of our progress and we’re only getting better. For AMI, our readmissions decreased from 14.8 percent in 2012 to 8.5 percent in 2014; for CHF, readmissions decreased from 18.9 percent in 2012 to 16.2 percent in 2014 – this was a particularly significant improvement, as we were opening an advanced heart failure and heart transplant program during this time; and for PNU, readmissions decreased from 15 percent in 2012 to 11.1 percent in 2014. Moving forward, we will continue to leverage best practice research and review data, tracking performance by top diagnoses and service lines to assess any new trends or opportunities for improvement. In this changing climate, reducing avoidable readmissions is imperative from an operational standpoint, but it has always – and will always – be the right thing to do. High quality health care doesn’t stop at the hospital doors – it must extend into our community if we really want to advance the health and wellbeing of our patients. Craig Cordola is CEO of Memorial Hermann-Texas Medical Center, based in Houston.